I loved the cilantro here – it was so refreshingly good and crisp. To be honest, I used to hate cilantro when I was younger. In fact, I hated it up until maybe a year or two ago. But then one day something happened and I started to realize how much flavor it lent to certain dishes like Vietnamese summer rolls and Banh mi. And then it was just a matter of time before I started forcing myself to eat the cilantro that came with dishes, instead of picking them out like I normally would have. Just like that, I built up my tolerance and now I love cilantro in the right places. 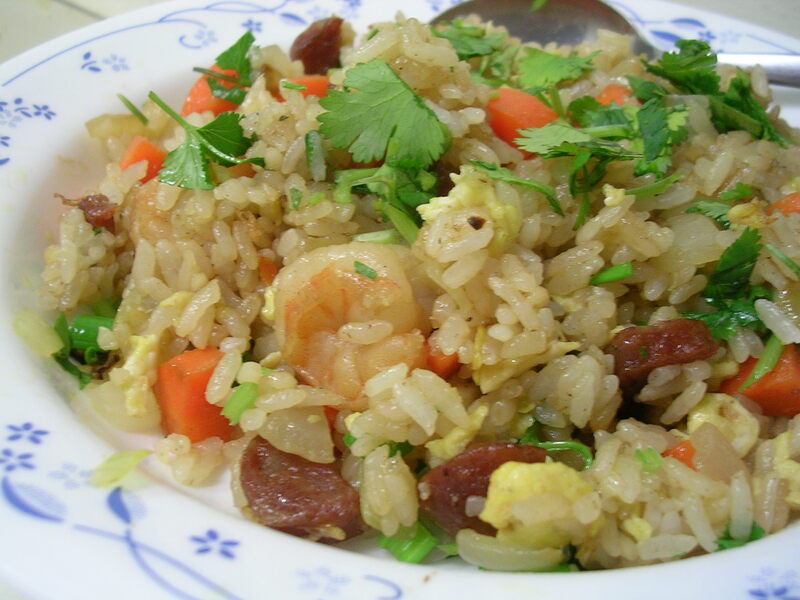 It perks this fried rice right up! This entry was posted on Sunday, April 27th, 2008 at 9:34 pm	and posted in Chinese, cooking, seafood, Uncategorized. You can follow any responses to this entry through the RSS 2.0 feed.